Is a Jaffa Cake a cake or a biscuit? A tough question for Matthew Sweet and the drinkers at The Philosopher's Arms, a pub offering both beer and philosophy. Among those helping him resolve this important conundrum are a Cambridge professor of philosophy and a former winner of the Great British Bake Off, who will be turning up in the pub with a very large, and possibly quite tasty, Jaffa Cake. Producer: David Edmonds. What's wrong with hypocrisy? 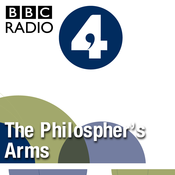 The Philosopher's Arms, everyone's favourite abstract pub, is back with a pint and a philosophical conundrum. 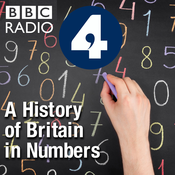 This week, presenter Matthew Sweet is joined at at the bar by philosopher Lisa Bortolotti and political scientist David Runciman. Plus human rights activist, Peter Tatchell, who in the past has publicly exposed people whom he has accused of hypocrisy. Producer: David Edmonds. The Philosopher's Arms, presented by Matthew Sweet, asks what sort of people should we bring into the world. In the pub this week are, among others, Oxford University professor Jeff McMahan and disability studies expert Tom Shakespeare. Producer: David Edmonds. The Philosopher's Arms, presented by Matthew Sweet, asks whether speech can harm. Helping us come to an answer, we have a philosopher, cartoonist and a man who was arrested for hate speech. 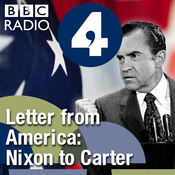 Lyt til The Philosopher's Arms, Letter from America by Alistair Cooke: From Nixon to Carter (1969-1980) og mange andre stationer fra hele verden med app'en radio.dk.